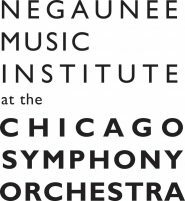 One of the most valuable aspects of being a musician in the Civic Orchestra of Chicago is the experience of working on and performing the great standards of orchestral repertoire. But we also have the opportunity to play chamber music – whether with groups formed on the initiative of Civic musicians, or, more often, through the Civic Engagement Ensemble (CEE) program. On December 9th, we had the exciting opportunity to work with our principal conductor, Dr. Cliff Colnot, at a chamber music workshop. We are all familiar with Dr. Colnot as a conductor, so it was both refreshing and eye-opening to get his perspective as an educator on the preparation and performance of chamber music. He opened the workshop with the fundamentals of forming a group, covering the professional conduct of scheduling, setting up early for rehearsals, and strategizing rehearsal plans. But the most important topic covered was communication. Dr. Colnot stressed the idea that, in order for a chamber group to be successful, each ensemble member should keep an open mind and let go of a defensive attitude when colleagues suggest ideas. He reiterated the point that suggestions for different approaches or solutions to musical problems need to be practiced a few times in order to be executed convincingly. Only then can all options be fairly reviewed and discussed. Unlike in an orchestra, a chamber ensemble should arrive at decisions through a democratic process by playing sections in different ways and then casting votes. Dr. Colnot also presented an optimal process for learning a piece, laying out objective and subjective values. By tackling the objective topics first (pitch, rhythm, articulation, and sound), the ensemble then has the freedom and a solid foundation to work on subjective values — phrasing, rubato, and sound quality — at the highest level. In the second half of the workshop, my CEE group was asked to play the first movement of Dvorak’s String Quintet, Op. 77, under Dr. Colnot’s guidance. We were expecting to play the entire movement and receive general comments in the end, but surprisingly, we spent 30 minutes working on just the first ten measures. Dr. Colnot meticulously pointed out fine details such as matching articulation on certain rhythmic figures and notes, matching vibrato widths and speeds, and balancing out chords not only for sound quality, but also intonation, due to the different functions of all the notes in a chord. Given the busy schedules musicians have, and the number of works we have to practice every day, this in-depth rehearsal process provided us with the tools and skills necessary for focused and efficient rehearsing. The workshop was indeed valuable and we could all take Dr. Colnot’s advice and apply the same principles to our own individual ensembles.